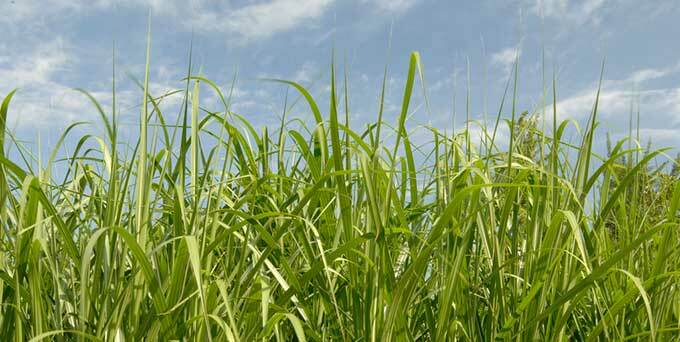 Biomass is the term used to describe the material produced by plants and animals. The original producer of the biomass are actually the plants because they use the Sun’s energy make their food to grow by the process of photosynthesis. Biomass is full of energy that can be utilized for heating and generating electricity. Humans have been using biomass as an energy source since they learned how to make fire. Then they used it for heating, cooking and for lighting purpose. Biomass energy is considered as the renewable source of the energy because biomass can be produced again and again by growing plants. The limit to the supply of biomass depends on the number of plants. Which in turn depends on the availability of the field and water. The more we grow the plants the more biomass we have. Biomass from plants and animals comes in many forms. But, mostly used are wood, crops, humans and animals wastes (also known as bio-waste), and garbage from your houses. All these material are processed to turn them into a form that can be used more efficiently as an energy source. But, wood is used directly in poor countries for heating and cooking. Burning biomass (especially wood) is the easiest method and is used by people which are living in poor countries for heating their homes and cooking food. 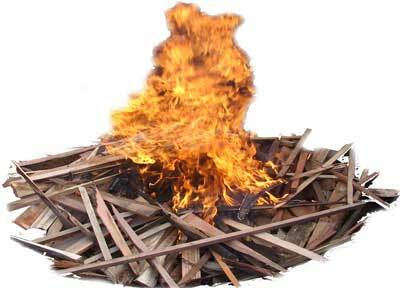 All the biomass in the dry condition can catch fire. When they are set on fire, they give off the heat. This heat can also be used to make steam to drive steam turbines for generating electricity. When biomass (such as animal wastes) is allowed to decompose (or rot), it produces a gas. This gas is known as biogas, which is mostly comprised of methane gas (gas used in your kitchen). Methane gas can be used in homes, as well as for generating electricity at gas turbine power plants. Decomposition is mostly done at the landfills (a place where waste material is buried) and at specially designed containers known as a digester. 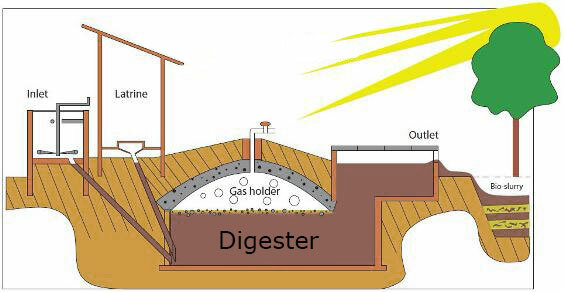 In many countries, farmers used to make underground digester where they bury manure and human waste to make methane gas. Then, they use this gas to operate generators for powering water pumps at their agricultural fields. Many crops, like barley, corn, and sugar cane are processed through a process known as fermentation, to convert the crops into the ethanol (a kind of biofuel). Ethanol is a liquid fuel that can be used in the place of gasoline. Some vehicles are designed to use ethanol as a fuel. Ethanol can also be used to generate electricity. 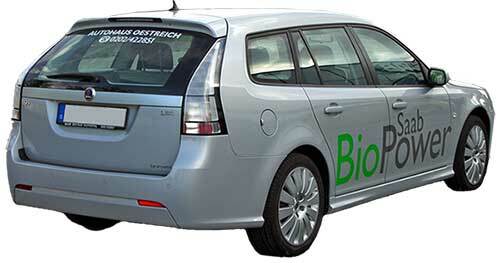 Biofuels made from biomass are preferred over fossil fuels because they provide many advantages over fossil fuels. The main advantage they provide is that they are renewable. Whereas, fossil fuel are not renewable (they take millions of years to form). They can take the place of fossil fuels, which are decreasing day by day. Biomass is available in every part of the world due to living things. So, every country can get the advantage of this. Burning biomass and biofuels don’t contribute to the carbon dioxide emission. Because, when plants grow they consume carbon dioxide and give off oxygen. When they are burned, they give the same amount of carbon dioxide that they consumed. People can also make digesters for the biomass at free space of their homes, to make methane gas from their own waste. In this way, they can reduce their gas bills. Growing the crops need land areas to grow, where we could also grow food. Water pollution may increase due to the usage of fertilizers to grow plants. Special care and agricultural attention is required. Water shortage can arise and may limit the production of other crops. Abdul Wahab, "Biomass Energy," in Science4Fun, April 13, 2019, http://science4fun.info/biomass-energy/.